Log in or create an account to learn about our assistive spelling and speech vocabulary solutions for dyslexia. Spellex has been delivering Assistive technology to over 2,000,000 users worldwide. students with dyslexia to improve their writing skills. Spellex Dictation Gold™ for dyslexia improves writing and reading comprehension through better speech recognition in Dragon, spelling, pronunciations, definitions, and word recognition. Spellex Suite for Office™ adds powerful spell checking and eliminates errors with support from its quick search definition and pronunciation feature. Best of all, Spellex requires little or no training allowing students to focus on their tasks. DysLex™ font for dyslexia helps to overcome reading challenges such as tendency to reverse, invert, disorder, and otherwise jumble characters while reading. Spellex has been a leading provider of assistive technology, spell check, and speech recognition solutions for more than 30 years. 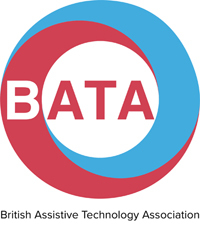 As a Business Partner to DSA Suppliers throughout the UK and advocate for Assistive Technology, Spellex proudly supports and is a member of the BATA, British Assistive Technology Association. Spellex has been serving the DSA community with approved software for over 20 years. We have been the leaders in assistive technology, specialty spell checking, and speech vocabulary enhancements for over 30 years. All DSA software comes with a lifetime guarantee. Free upgrades and support for every DSA license. it is brilliant program particularly for severe dyslexics like me. I have recommended it to others. I noticed more clarity while writing my papers. Thanks for your product. I find Spellex [Anywhere] so easy to use… on any text based application. Spellex Dictation has increased my efficiency now that Dragon transcribes my medical words properly! Thanks for your wonderful work! Your product is reliable and accurate. I appreciate that.